The Bob Cole Chamber Choir from CSULB won the title "Choir of the World” last July at the Llangollen International Musical Eisteddfod in Llangollen, Wales. CSULB’s Chamber Choir has just been invited back—to represent the United States –at the 54th International Competition of Choral Singing in Spittal, Austria this coming July! 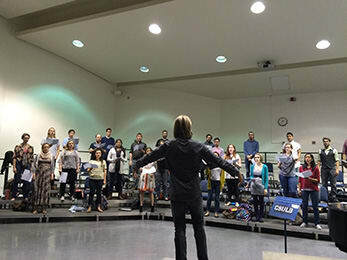 After competing in this five day competition on behalf of both CSULB and the United States, one of America’s premier collegiate vocal ensembles will give concerts in Italy, France, and England. With YOUR help, we are committed to making this trip affordable to every member of our choir. We’re reaching out to YOU—our Beach Family—for support. We have 31 days to raise $25,000 to make this trip possible, and we’re counting on your assistance to make it happen! Your donation will help our students by helping to cover the cost of busses, accommodations, and airfare. 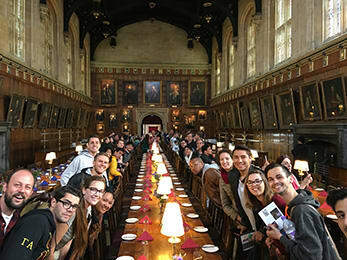 It will also allow our students an opportunity they may not otherwise have, namely to meet with and exchange ideas, first-hand, with people from all around the world. PLEASE, support the Bob Cole Chamber Choir by donating today. We'll be sending all our donors digital updates during our travels. Higher-level donors even get extra perks like e-postcards from Europe, special blooper videos, and a CD of our concert repertoire—recorded in King’s College, London. Please share this page with your family and friends. Let them know how important music is and encourage them to support us! You’ll get our thanks, and the satisfaction of helping us bring The Beach to Europe! You’ll get our thanks and the satisfaction of supporting the Chamber Choir in our musical education! You’ll receive e-postcards from each city we visit in Europe. You’ll receive the previous prizes, plus a link to the exclusive blooper reel from our update videos. You’ll receive the previous prizes, plus a handwritten Thank You card from a member of the choir. You'll receive the previous prizes, plus a phone call from a member of the choir to talk about their experience and love of choral music! You’ll not only get all the previous prizes, but you’ll receive a hard copy of the very first CD the Chamber Choir has ever produced, to be recorded this summer at King’s College in London. You’ll receive the previous prizes, plus an invite to our final dress rehearsal before we embark, and a farewell lunch with the choir!